The fourth king of the Joseon Dynasty of Korea, later know as Sejong the Great. The third son of King Tae Jong. 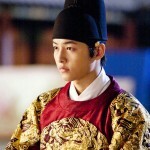 Became Grand Prince Chungnyeong at the age of twelve. A typical rare genius, but as he grown up watching the bloody killing of his father Taejong, and thus feels extreme inferiority and has psychological trauma. Because of concentrating on nation’s agendas, he is insomnia. Although a genius, he can feel the hardship and suffering of commoners and low class citizens. He tries his best to accept all ridiculousness threw at him. Is a wise ruler. He is very concentrating when thinking, and nothing can disturb his thoughts. But once he starts talking, he can speak non-stop. Actually his personality is irritable and hot-tempered, and pragmatic. 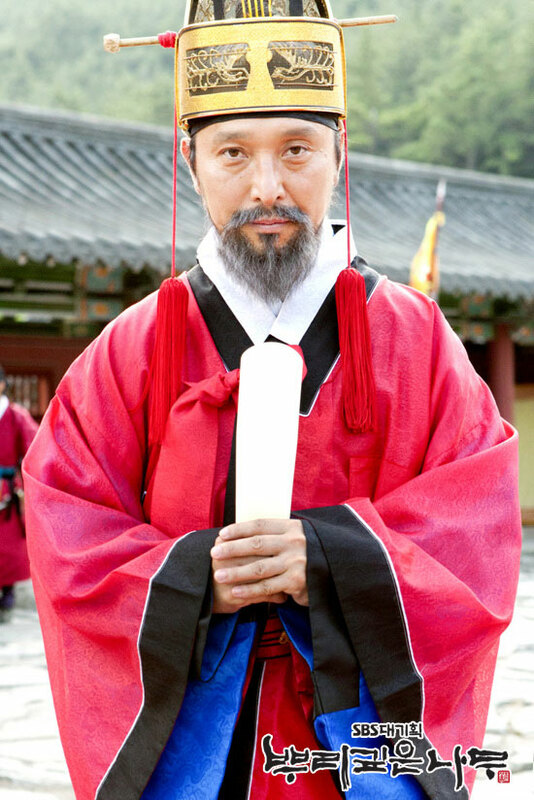 But as he is the ruler of Joseon dynasty which implements Korean Confucian policies, he is patience and bears with a lot of things. Although is from slave class of Pan village, manages to whitewash to get out of slave class and become the low level king’s bodyguard (gyeomsabok). 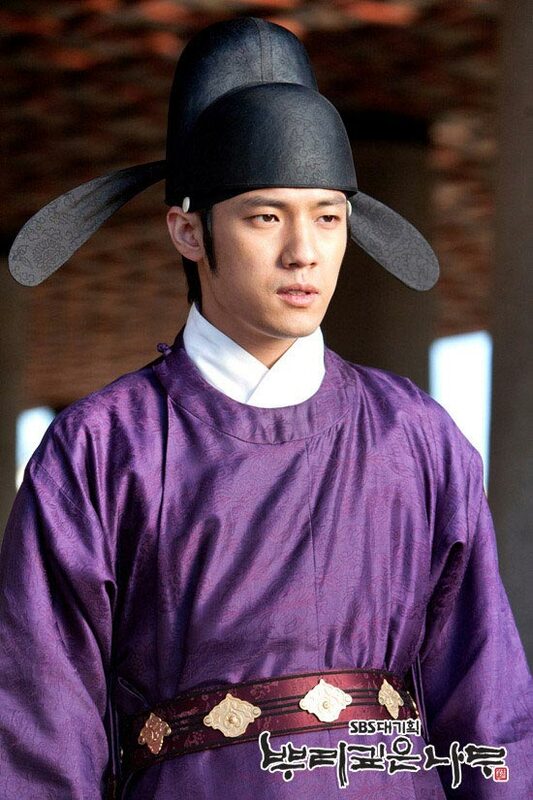 He believes that his beloved father died because of Sejong Le Do, thus if full of resentment and wants to revenge. Very intelligent, not like one origin from slave class, but cannot use the word smart to describe him, instead he’s stubborn and bold, does not flinch even when facing formidable opponent. Believe that one day he will pay back whatever he suffered, willing to achieve his aims by fair mean or foul, and is flexible in way. 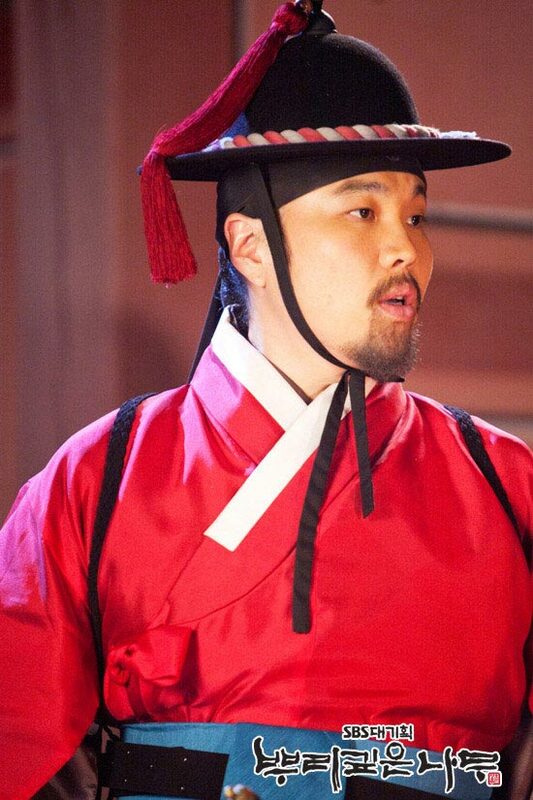 He sneaked into the north side with the identify of fugitive slave, and the master in martial arts Lee Bang Ji. After becoming his student, Chae Yun learns the martial arts in lightning pace, not only skills in sword, but also techniques in assassination and various tricks, to become a true master by himself. 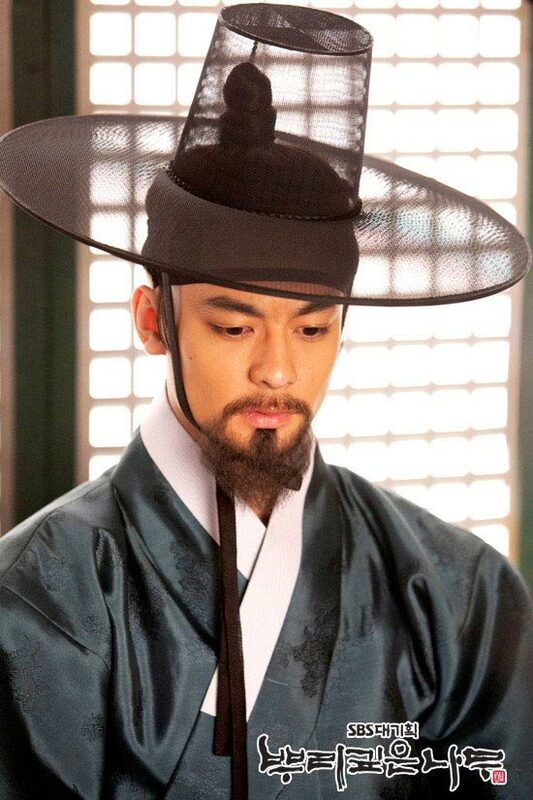 After achieving numerous success in the north, finally Chae Yun is receiving instruction to go into the palace, and become the king’s bodyguard, staying in Hanyang. He finally comes within striking distance of the enemy. Play an important role in the creation of King Sejong’s Hunminjeongeum (written language of Hangul). A core member of palace’s concubines. The only one who knows the plan to create Hunminjeongeum. Naturally smart, is even more keen than Sejong in Hunminjeongeum. Inside her pitiful passion, is the deep pain trauma which she went through after witnessing a horrible accident when she was young. She tries her best to understand how pitiful is Le Do who endured sufferings as head of the country. She understands the Le Do’s pain, despair, darkness and sadness. The 3rd generation leader of a Hidden Roots secret society, a mysterious person. The only son of Jeong Do-jeon’s younger brother, Jeong Do-kwon. Knew Le Do since twelve years old, and the person who causes unforgettable hurt and hate on Le Do. 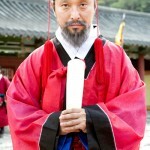 Jeong Do-jeon succeed his father as the third leader of the Hidden Roots secret society, and declared to the members that he wants to overthrow the Hall of Worthies (Jiphyeonjeon) which made up of scholars close to the king, restore the contest system, and to combine the State Council, Six Ministries, Office of Inspector General, Office of Censors and military to build a Joseon with prime minster in charge, not the king. 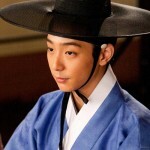 In future Joseon still have king, but won’t be able to do anything. Security guard of Le Do. 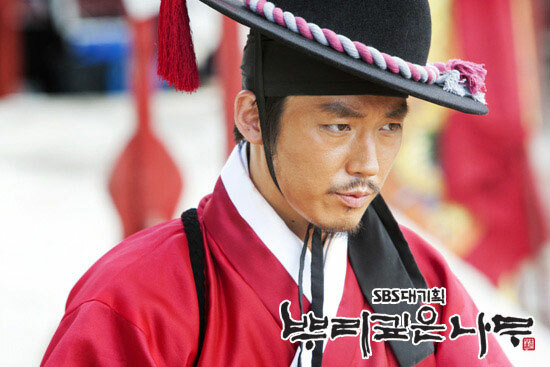 The best warrior of Joseon, a naturally born talented martial arts master. 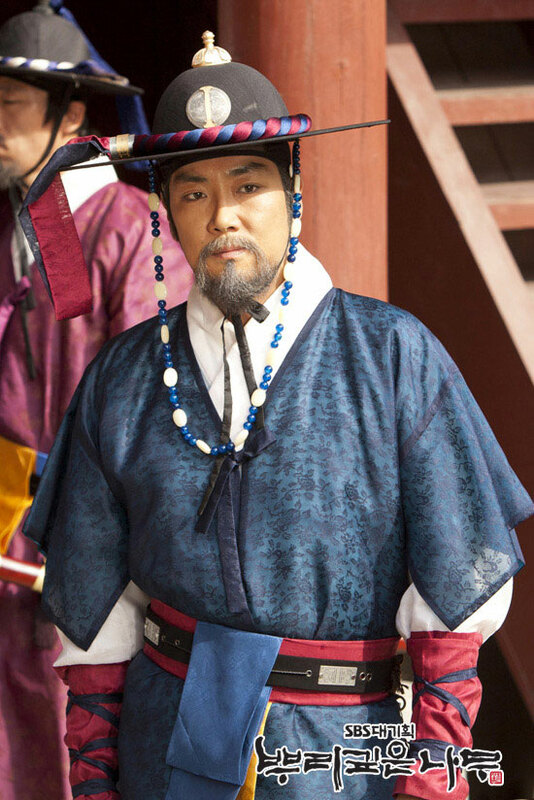 Been promoted by Lee Bang Won (King Taejong) in the northern war zone, and now is the guard for King Sejong. Initially he thought Le Do does not have the talent to be a king, and thus felt disappointed. But after the night of prisoner jail escaping, when he saw Le Do was fighting calmly with quality of king, he is fully convinced that Le Do is able to be a king. Initially a scholar in Hall of Worthies when King Sejong succeeded the throne, later becomes a minister of the ministry. Chief of Le Do’s secret group. Have been an officer since King Taejong. Comparing wht Le Do who is sanguine temperament and irritable, he is calm, careful and courageous. Control the overly ambitious actions of the king, and also regulate the angst and impulse of new scholars. A young scholar in Hall of Worthies. Actively involves in the creation of Hunminjeongeum. Undisciplined and very talkative. Have brilliant brain, a talented person who can answer any questions. Can’t stop talking when working in the secret group, always chats with the court ladies. Any place with him will turn lively. A young scholar in Hall of Worthies. A member of Le Do’s secret group. Studying rhyme with Sung Sam Moon but does not know that it’s related to the creation of Hunminjeongeum. Good friend of Sam-moon. But unlike the joyful Sung Sam Moon, Park Paeng-nyun advocates the principle of silent. As such always argue with Sam-moon, but when investigating cases they’re good partner again. A young scholar in Hall of Worthies. Excel in mathematics and astronomy. In charge of the making and operating of astronomy equipments. Also provide assitance to Jae Yoon investigation. 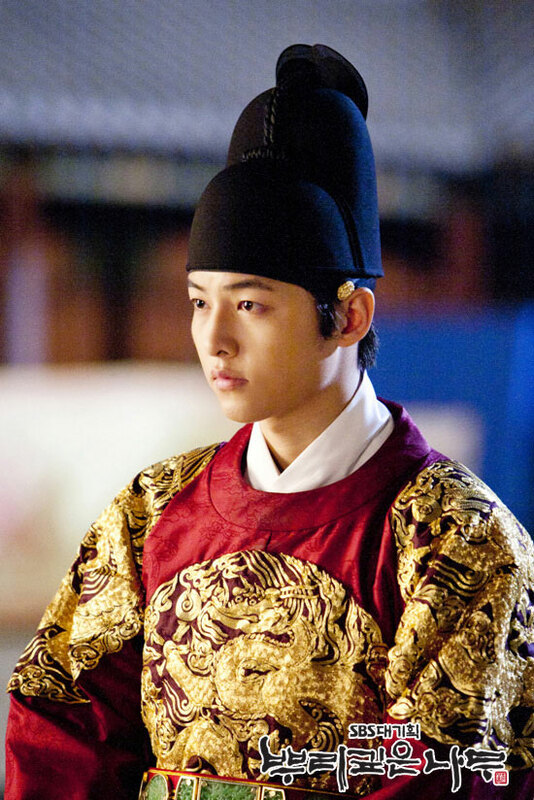 The fifth son of Le Do with Queen Soheon of the Cheongsong Shim clan. Is the only one except Le Do who has the key to the secret chamber. And is the only person has the freedom to enter or leave as he wishes. One of the four court ladies executes the secret Hangul plan with So Yi. Is a linguistic genius, can speak Japanese, Mongolian, Chinese, Manchu, and etc. Since young has been discovered by Le Do to have talent in languages, let her study 10 hours of language lesson everyday. Consider herself to be on different level with other court ladies. Always does not regard Deok-geum who looks foolish, So Yi who can’t speak and Mok-yi who is silent in personality. Born in the family of ventriloquist and dramatist, familiar with all dialects, experts in most tunes and sounds. Has characteristic that is serious and cautious. Normally talks solemnly and earns a nickname of Chief State Councilor. But once ordered by Le Do, she will change into another person and speaks in various dialects. Is of sibling relationship with Ok Tteol-Yi who is master of ventriloquist. Is a runner for the court ladies. Unlike other concubines, does not have any special talent, and even a little foolish. As she always can’t access the situation, Geun-Ji is looking down on her. Always too late in doing thing. Always make mistakne as she cannot catch the meaning before the words and cannot understand the meaning of the words. But after Le Do invested Hangul, she surprises everyone by memorizing the Hangul in one day. Managing the affairs of court ladies implementing the Hangul plan. Does not directly involve in the plan, but responsible to ensure court ladies keep secret. 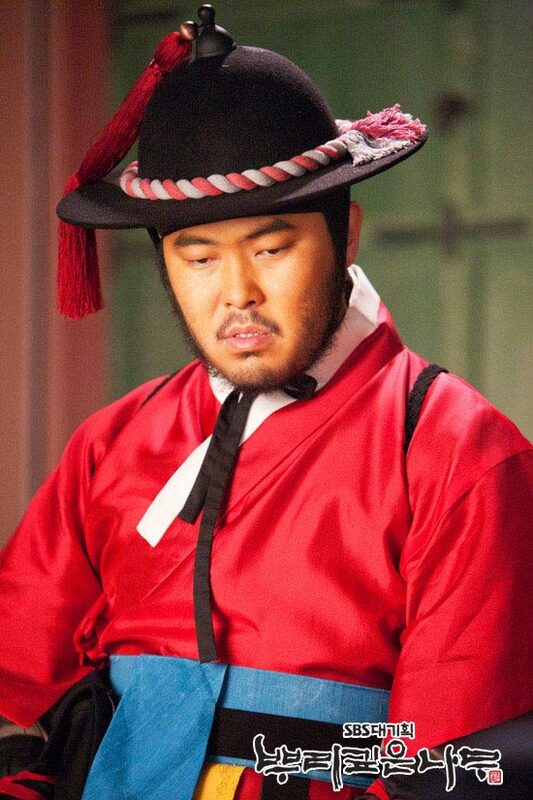 The close confidant of Moo-hyool. Origin from village of Pan. Is a baekjeong (common people) butcher who slaughters cow and also a coroner who performs autopsy for criminal cases. 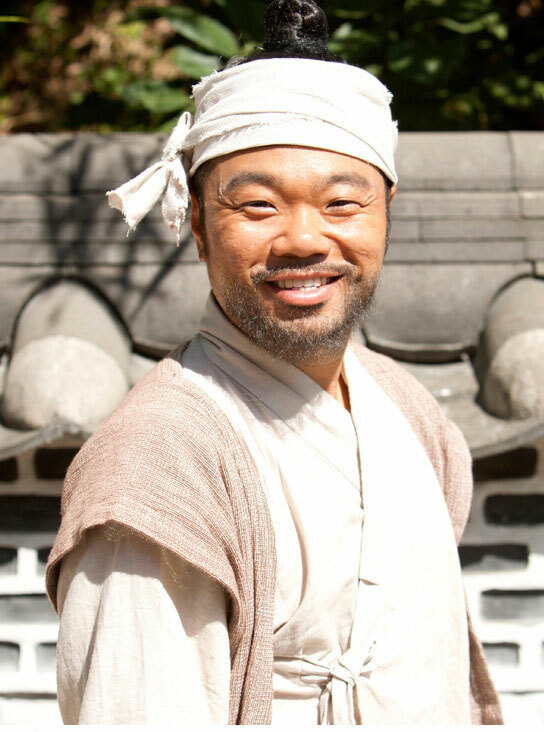 There is saying that he wandered in China selling meats as a living due to low self-esteem due to identity of slave when young, and there is also saying that he is son of the best butcher in Sangnam area of Joseon. 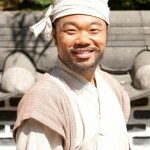 Although is a butcher, his blading skill is good, almost the best in Joseon. He learned a lot of medical knowledges and techniques when wandering in China, and nobody can surpass him on autopsy. Partners with Gae Pa-Yi whom he knew when wandering at young age, is of master-follower relationship but also a friend. Age unknown, place of birth unknown, is a person nobody knows the background. Is a slave in Pan village. As a partner of Ga Ri On, he is beside him everyday to work for him. Not good in expressing himself, IQ a bit low, but the sense of taste and smell is as sensitive as animal. Can know how many days a person have died by just smelling the corpse and blood. Is of great help to Jae Yoon investigation. Other than Ga Ri On, nobody knows his real identity. Used to be following King Taejong, so is now promoted to position of government official of security guard. In order to maintain his position of government official, he never participates in any conflict, and do things carefully. When somebody asks about his family tree, he will become bad-tempered. Secular and an image of typical low-level official. A friend of Jae Yoon, and also his subordinate. As the colleague of Jae Yoon, they came to Hanyang together from the north. His life was used to be saved by Jae Yoon during the northern war. So he is very loyal to Jae Yoon, is a confidant of Jae Yoon, the only one who can let Jae Yoon speaks out his inner heart, at the same time he also knows that Jae Yoon wants to kill Lee Do. Although he is short, but the build is solid and the movement is swift. An inspector in the investigation team with Jang Yoon and Cho Tak. A large figure, has great strength. Famous in the palace, always pretending to be a macho man but actually is timid and coward. To cover up his weakness, he is acting to be even more brave. Although always arguing with Cho Tak, but they’re perfect combination during investigation, also has nimbleness that does not match his size. The leader of Pan village. For the slaves in the village, she is the spiritual leader. But actually this woman is the village leader of the secret organization, and already is the member for a long time. Apparently she is in charge of food and medical soup in Sungkyunkwan (the foremost education institution during the era). The slaves respect her for her kindness and decisiveness. 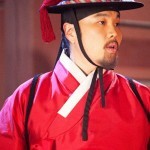 Son of bodyguard warrior for Jeong Do-kwon, Yun Si Jin. Yun Si Jin unable to protect Jeong Do Kwon to the end, and left a dying wish to Yoon-pyung before dying in order to continue his job to protect the leader for 3 generations. Since then, he is loyal to Jeong Gi Jun. Father Yun Si Jing sent him since young to learn martial arts from Lee Bang Ji. 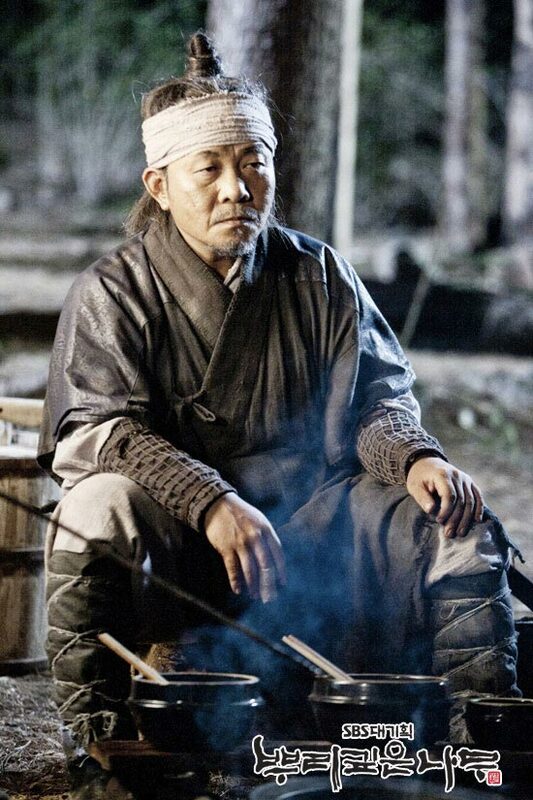 He executes all orders from Jeong Gi Jun without question, and does not have much words, gives others an impression of coldness, but actually he is also cruel. Excel in martial arts, elusive and shadowy, good in skill of flying, move faster than speak. What’s more he is good in hiding, always can escape from pursuit of Kang Jae Yoon. A big character of Confucianism circle that respected by all scholars. Hall of Worthies led by Sung Sam-moon respect him. A person who is not easily reveal except during critical national event that shaking the foundation of the country. He used to be invited to join secret organization when young, but rejected it. 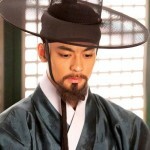 After the First Prince Coup d’état lead of Lee Bang-won (King Taejong), he returns to rural area to study knowledge. Seeing that Lee Do established four forts and six posts (to safeguard border), developed new weapons, studied ancient maps, Ming Dynasty (China) gets worried. 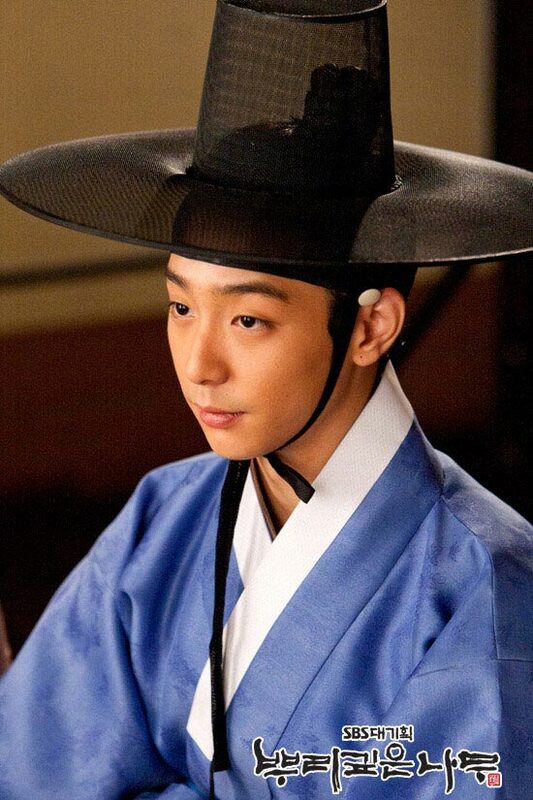 So, the assassin group of Ming Dynasty of which Juck Hee is leader camouflage as business group to enter Joseon. Is a master in various assassination skills, can use many hidden weapons and equipments. Originally a descendant of royal warrior of Yuan Dynasty, so have great knowledge and experience in martial arts, as such is very helpful in the point of view of Jeong Gi Jun and others. Is confidant of Do Dam Daej. Is a slave in the village, and also a member of the secret organization. Nobody in the village can recognize the returned Kang Jae Yoon who has became bodyguard, but once he looks into the eyes of Jae Yoon with murderous look, he instantly know he is the village kid who used to put on fire. 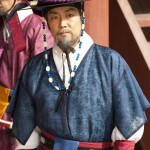 Play a role similar to secretary general during the reign of King Taejong. Is the confidant of Taejong. 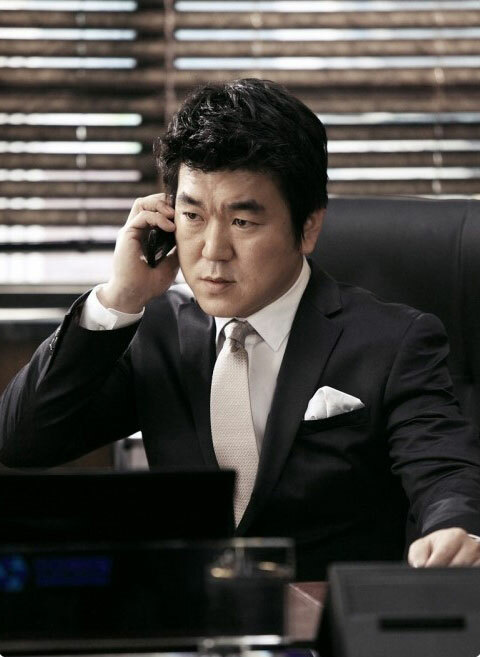 Secretly plan and monitor in order to wipe out the secret organization after King Taejong ascended the throne. Later happened the incident of warrior dying in prison and content of the secret letter been took from court lady sent by Le Do and changed, causing his worry. Have huge information on the secret organization, and use it as a base to get closer to the secret organization to reveal its true identity. A scholar in Hall of Worthies, and the first chief of the hall. Been in the Hall of Worthies after its establishment for 25 years. Practices harder than anyone honesty and diligent promoted of Confucianism, and never betrays his principles. Very loyal to the king. Is unhappy that Le Do is valuing Jung In-ji more than him, and is deeply worried for King Sejong who loves many variety of studies. Been influenced by Jung In-ji, fiercely objecting after knowing King Sejong is creating Hangul characters. Be prime minister of King Sejong on the reign’s 18th year, is the Sejong’s closest person. On the surface he is gentle, a good man, not assertive, does not have foresight. But in actually he is a complete opposite, like a fictional character. He is ability to see through everything clearly, just that he does not reveal it. A minister with power in Left State Councilor and Royal Investigation Bureau (Uigeumbu). A person who put self-interest above all others. Looks frugal, but have gathered a huge amount of wealth. A confidant of Lee Shin Jeok, very loyal to him. An officer in Ministry of Rites in charge of diplomacy and receiving ambassadors. Have close relationship with Ming Dynasty. A scholar in Hall of Worthies, and a member of secret organization. The most famous model student in the capital, he is a person who proficient in every fields, and is also very ambitious. Rumor has it that he is the first choice to succeed Moo-hyool. Good in interaction with people, have leadership style, the confident way of talking can attract many young scholars, but have his own cruelty. 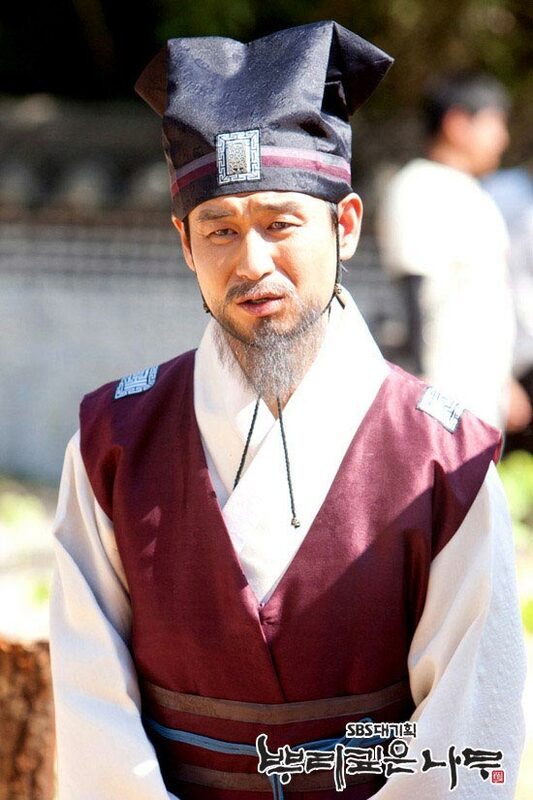 During the northern period, the teacher of Kang Jae Yoon. Is a low level warrior that hides his ability. Is the only legendary master who can beat Moo-hyul in Joseon. Both of them studied in the same school, but they’re always opponent. After finished learning, Moo-hyul chose the road to fame, while Lee Bang Ji chose to train the next generation silently. 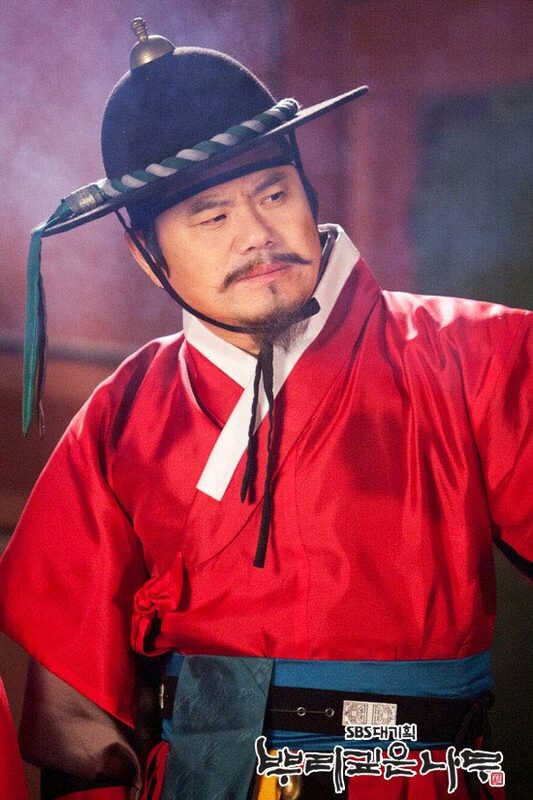 After Kang Jae Yoon learned the martial arts from him, Yoon-pyun also comes to learn. Daughter of a mother in Pan village. Is small and weak, but decisive and outgoing. Is the only one who can communicates with Gae Pa-Yi. Gae Pa-Yi who is like animal will suddenly become gentle and tame in front of Yeon-Doo. Will do whatever Yeon-Doo tells him to. Mother of Pan village. The owner of hotel in the village. Unknown origin, came to Pan village carrying Yeon-Doo. Start a hotel with the help of Do Dam Daeg, which becomes the source of information in the village. Love Gae Pa-Yi. A ventriloquist master who can simulates the sound of anybody in the world, no matter it’s a human or animal. As the voice projected is too similar with the voice of original person, always can confuse people. Similar to Mok-yi, seldom talk, but once start talking, will speak for a long time. Decling Yangban (ruling class). Always fails in examination. Feels embarrassing to go back home, and thus stay in Pan village, becoming customer of Yeon-Doo’s restaurant, claiming himself originated as official from some area. Everybody pretends to respect him in front of him, but looks down on him at the back. As a diner who depends on the villagers’ favors, he earns fees from students who come to take examination by selling books or arranging accommodation during examination period. He is showing all the sorry sign of fallen Yangban class, but his real identity is otherwise. Confidant warrior of Sim Jong-Soo, one of the member of secret organization. One of the main helpers for Sim Jong-Soo.